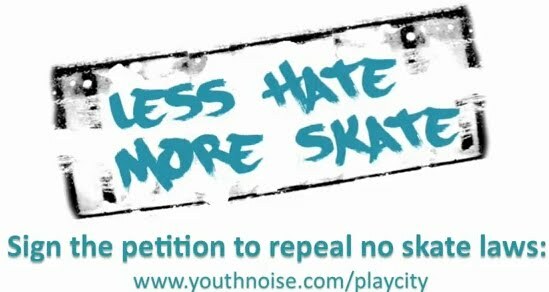 I Skate, Therefore I Am: Where the hell is Peabody? I was browsing through the internet and found this note from Bruce Burke, the Peabody Police Chief. At Peabody, skating is restricted on private property. Peabody Police Chief Bruce Burke reminds residents that local skateboard regulations prohibit the use of private property for skateboard activities without permission of the tenant or owner. “I have had some complaints about skateboarders using parking lots and concrete areas that are on private property,” he said. “Those areas usually belong to the home or business owner adjacent to them. 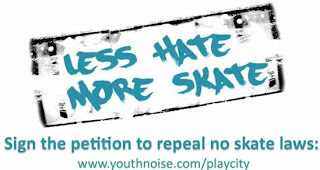 “When in doubt, ask the property owner if he cares if you skate on his parking lot, planter, handicap ramp, or entry area.” Burke noted that violators can be fined in municipal court for skating on private property.